If you follow me on Instagram, Twitter or Facebook you'll know that me and the Mr, Johno, went away on holiday in September. We'd been saving all year for our holiday but couldn't decide on where to drop a pin and head to... I knew that we wanted to go somewhere warm (obviously..right?) somewhere with a bit of culture,things to do to keep us busy during the day and also somewhere that wasn't too restrictive... like a resort type place. We kept looking at package holidays in the usual places but I just wasn't drawn in by any of them, I'll be honest, I'm a holiday snob. And I just couldn't find anything that ticked all the many boxes. It got to 3 weeks before our expected departure date and whilst chatting away to my mum about our first world dilemma she mentioned Eurocamp. 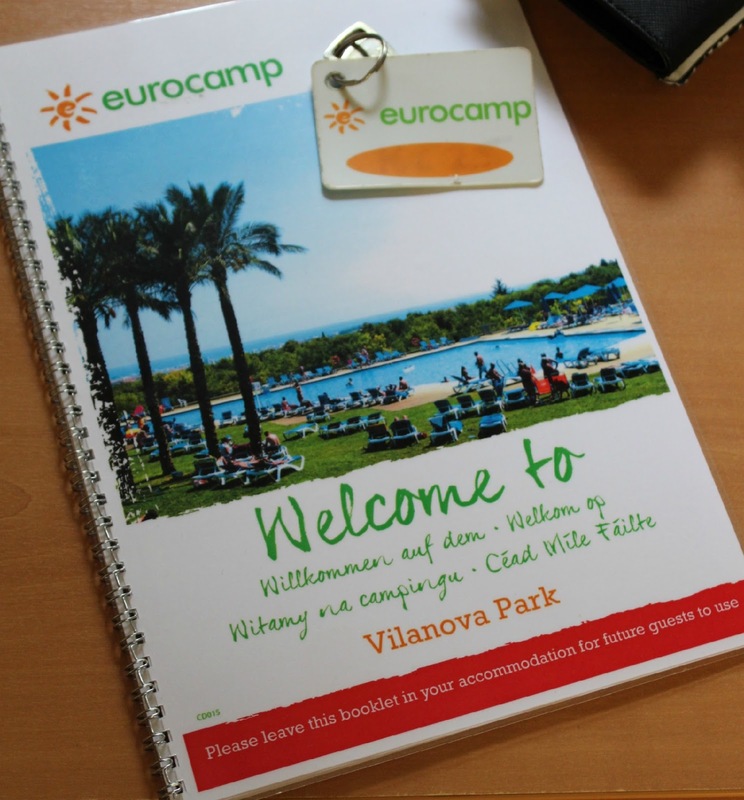 We used to holiday with Eurocamp each year as kids and absolutely had the time of our lives. Some years we'd even go away for 3 weeks of the summer, uhhhh imagine the bliss of 3 weeks holiday now! Eurocamp hadn't really crossed my mind before mum mentioned it, mainly because I pictured it as a family place, overrun with hyper kids and not a place of calmness. But then mum reminded me that the mid September weeks we'd booked off the kids would all be back at school..yayy! So, I headed over to the EC website and looked at the campsite locations they offer. 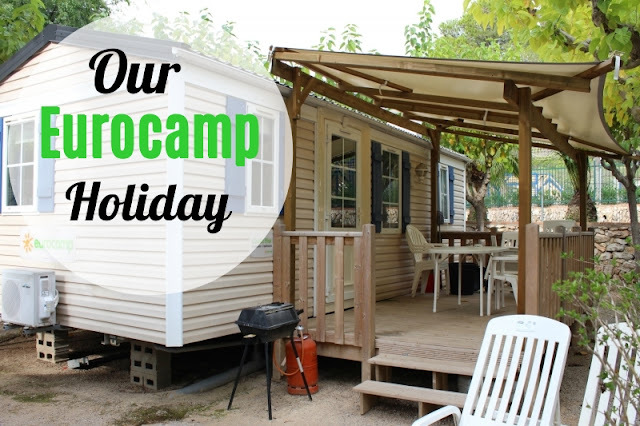 Since we went as kids back in the late 90's they've expanded their destinations to all across Europe, from France, Portugal,Holland, Spain, Croatia..basically anywhere that's good to holiday in Europe, Eurocamp have a site there! Johno and I spent an hour or so looking through the EC website, trying to figure out which country we fancied, which accommodation type we wanted to try out and how much we wanted to spend. Their site makes it really easy to narrow down your search and, soon enough we'd both agreed that we wanted to be near a city, somewhere that was easy to do a fly-drive and also near a beach. Having narrowed down the criteria we then browsed for a bit before coming across the perfect match- Vilanova Park about 30 minutes drive from Barcelona! We looked at the different accommodation types and opted for a 2 bed Classic Plus mobile home-not something I'd stayed in before and I liked the idea of having our own private bathrooms and a decking area! So, all decisions made we then phoned up and booked an 8 night stay for £340- what a bargain. Later that week when we started thinking about what to pack,where we were planning on visiting and also booking our flights I decided to email EC to see whether they had any recommendations of things to do around the area. I also just mentioned that I'd be blogging about the whole experience afterwards. Their PR team quickly got back to me with lots of ideas of places to visit and also offered me the opportunity to be a guest blogger for the EC blog in return for the stay at the site. 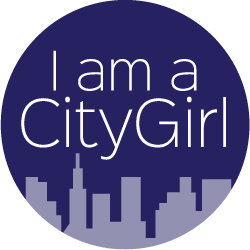 How exciting.. my first big project as a blogger! 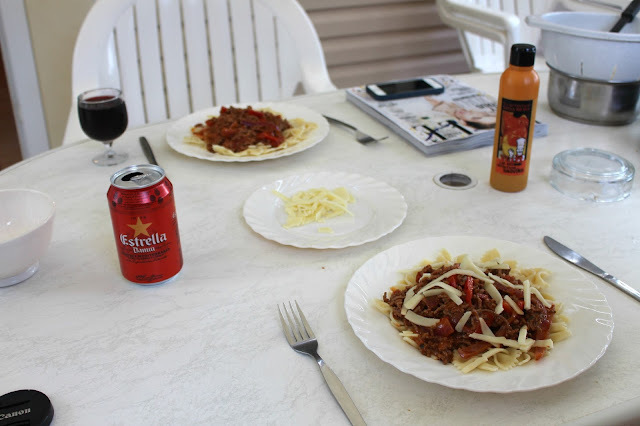 So, back to this post, I've decided to give you a tour around our mobile home along with some of the reasons we loved it! This was our Classic Plus 2 bedroom mobile home- it had air conditioning, 2 bathrooms, 2 bedrooms and a lounge/kitchen area. If you've been on a EC holiday before you'll know that the BEST way to enjoy your continental breakfast is to sit outside your accommodation, read your book and munch some baguette and cheese. 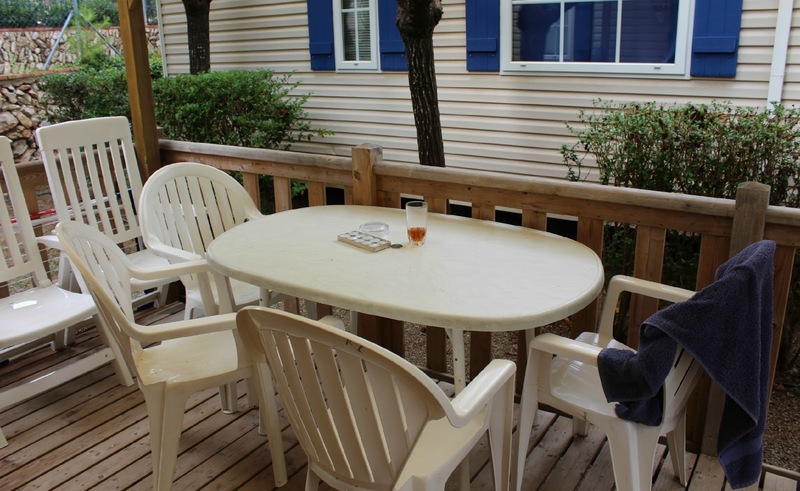 I loved that even when Johno was still lazing in bed I could come out on our deck and enjoy the morning heat. The mobile homes all come with gas BBQ's on the site as well as sun loungers just incase you can't be bothered to walk to the pool to catch the afternoon sun. We loved having the space and facilities to do our own cooking. Although its lovely to go out and eat at nice local restaurants whilst on holiday it helps to keep costs down by having the option to do our own cooking! The kitchen pretty much had everything you'd need- fridge-freezer,cooker, microwave, crockery,cutlery glass etc! The lounge area also can be turned into another sleeping area for additional people. 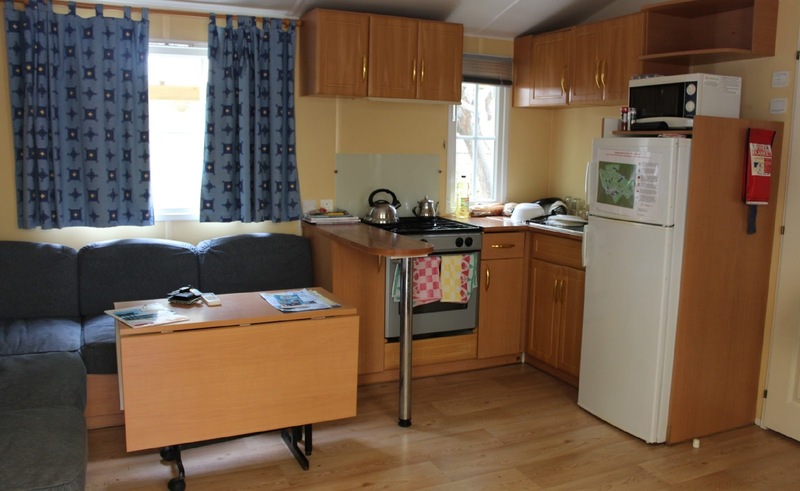 The great thing about EC is that you only pay for the accommodation type and not the amount of people you take, so really this mobile home could have fitted in 7 people! 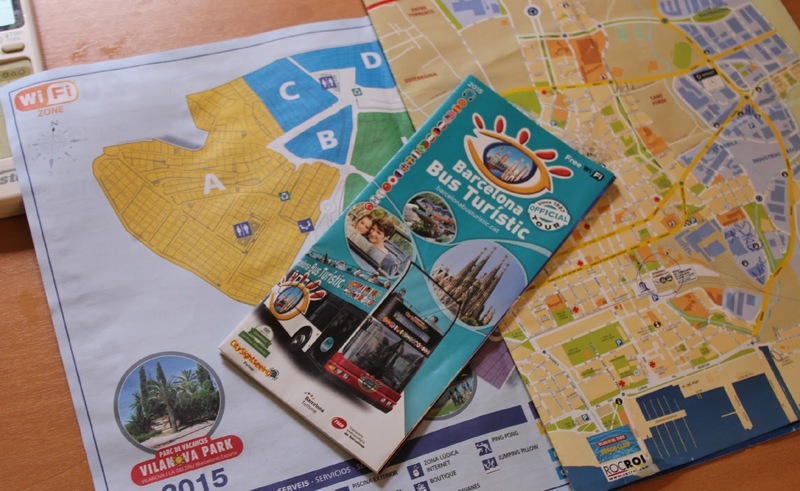 We also were provided with some handy maps of the parc,local town and guides for Barcelona. 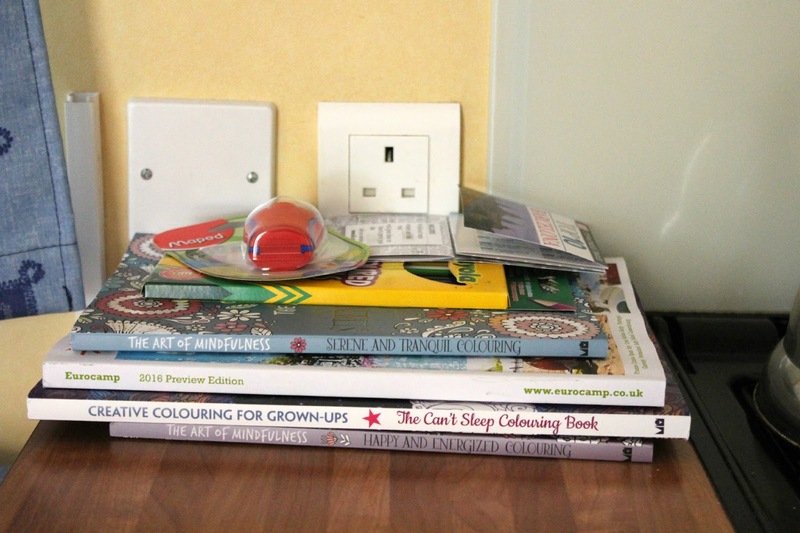 I couldn't go on holiday without taking some colouring books! So, onto the bedrooms, we opted to sleep in the double bedroom of course, it had a double bed, ensuite, storage place for your suitcases and loads of wardrobe space for Johno's clothes. I used the second bedroom and bathroom as my dressing room! Its not often you get your own dressing room on holiday is it! The second bedroom had 3 single beds in, which really became my area for organising all my clothes,camera equipment and shoes! 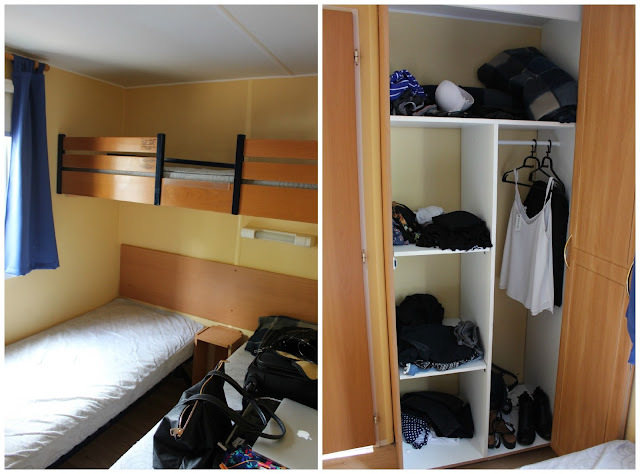 Overall, the accommodation Eurocamp provided was amazing, we loved having our own space to relax and cook in. I couldn't imagine going on holiday and being cooped up in a hotel room without space to lounge about. 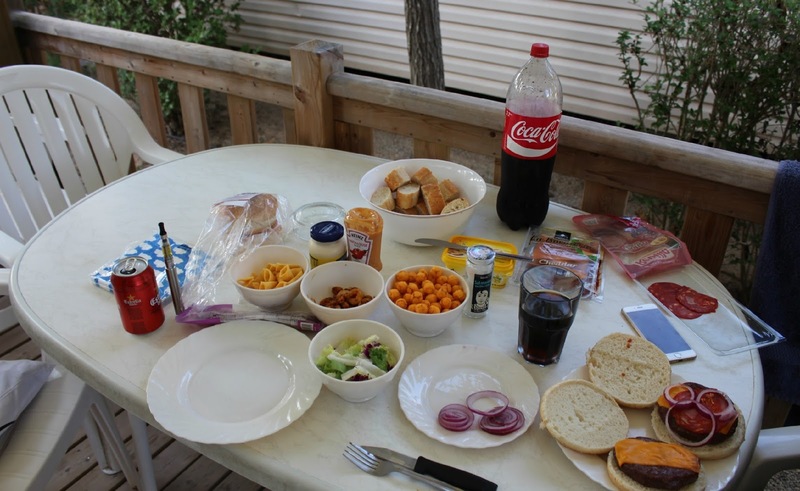 Johno is now a fully onboard with holidaying with Eurocamp because of the freedom you have. 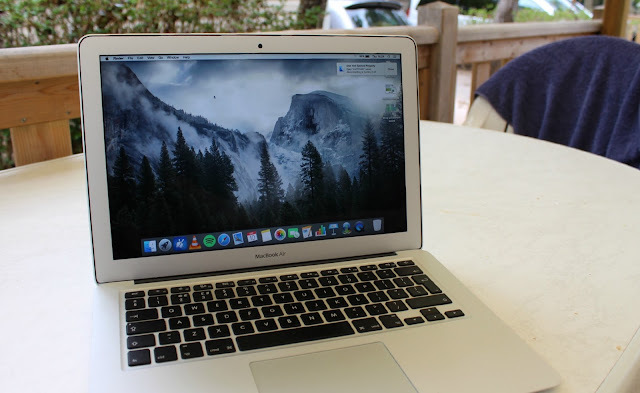 For me, it bought back memories of my holidays with my parents and thinking about it I can completely see why EC holidays are so popular with families; put the kids to bed and then spend your evenings sitting out on the decking enjoying some wine and the evening sun! Eurocamp have also selected some of their sites that they'd recommend for couples, check them out here. 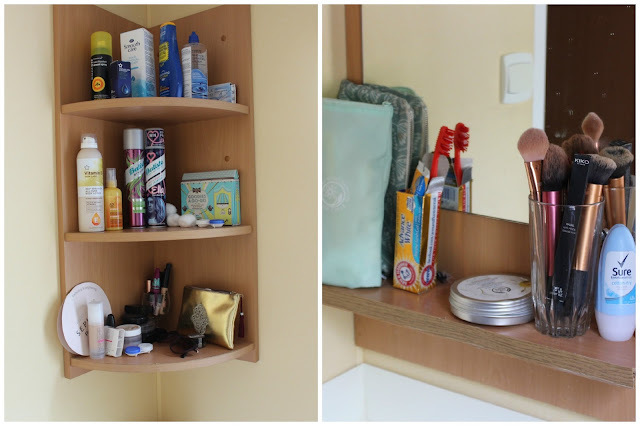 I hope you've enjoyed having a sneak peek around our little holiday home! Next up, the vlog, then some posts on Barcelona, followed by a little Spanish giveaway! 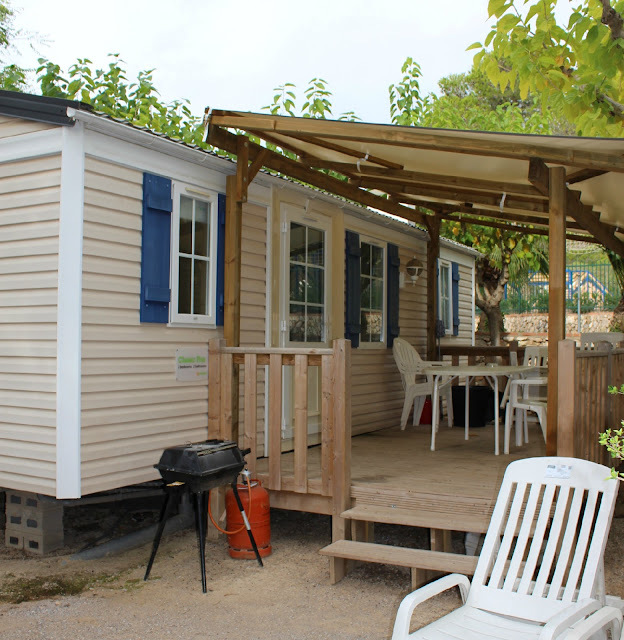 Have you been on holiday with Eurocamp before? If not, is it something you'd now consider after seeing what the accommodation is like?